The blues and the tango, the waltz and the lullaby, making an inspired mix of songs of love and modern day life, enhanced by sparkling guitar, pulsating bass and drums, tinkling piano and great lyrics sung with unusual clarity. Completely out of the blue, on a tour in Spain singing with his choir, Richard started writing songs in May 2009. By January 2010 he was in the studio with the great talents of Bruce Knapp (guitar), Richard Sadler (bass) and Tony Shepherd (drums) recording this eclectic mix of songs of live, love and creativity. They range from light ditties such as the duet with Christine Axelle "She said yes! ", haunting warning songs on the future such as "Cloud on the Horizon", and a monologue with sparkling backing vocals from Callie Howard digging at our consumerist world, in "Choice (would be a fine thing)". Richard has spent his life helping people anticipate the future and "Heroes or Zeroes", his wry reflections on the fates of dictators written well before the Arab Spring, and first sung at the Vortex Jazz Club, has suddenly come into fashion. 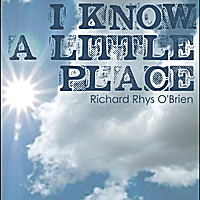 Richard has been a lifelong fan of Bob Dylan, Loudon Wainwright III and Leonard Cohen - amongst others - and perhaps these songs were something just waiting to happen. This is certainly an album where the lyrics came first and they are sung with extraordinary clarity. The words have dictated the rhythms - the blues, the waltz, the tango, the lullaby and few more poppy/country sounds. Since 2000 Richard has been singing with the great Eclectic Voices, singing jazz, classical, gospel and he just loves to try something different.